The optical shop at Walla Walla Eye Center boasts one of the best opticians available anywhere. Mark Jones has years of licensed experience in optical dispensing. Come in today for a free adjustment and get some friendly advice on the newest lens technology available. 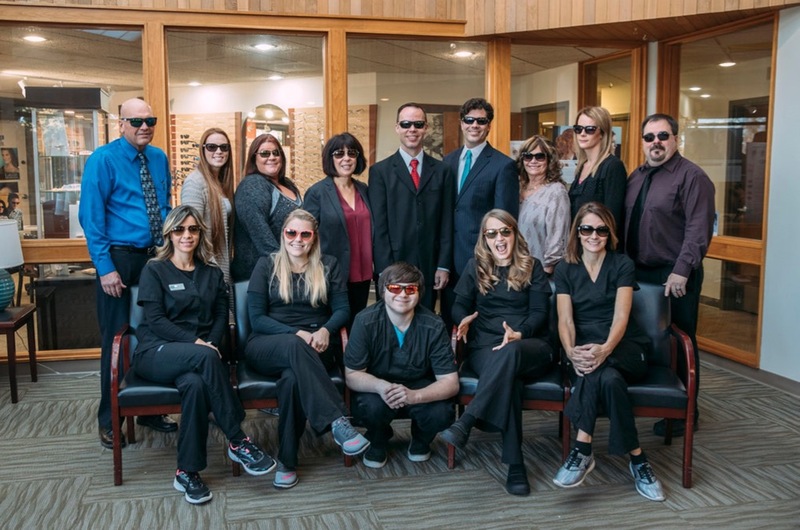 Walla Walla Eye Center can fulfill all of your vision needs with options ranging from the most fashionable designer frames and sunglasses to a quality complete pair of inexpensive glasses for as little as $60.00. Ask us about the convenience of Transition lenses and their ability to block 100% of the sun’s harmful UVA and UVB rays. We offer the most advanced anti-reflective coatings available that help battle the enemies of clear vision: dust, smudges, scratches, and glare. You will see better, suffer less eye fatigue from computer screen glare and have a more comfortable nighttime driving experiences by reducing the glare from oncoming headlights, resulting in a safer ride for you and your family. Our optical shop has hundreds of frame options, and it is our goal to provide premium products and care without paying premium prices. Come check it out and see the choices. Feel free to compare our prices with other locations. We custom fit soft and rigid gas permeable contact lenses and have many brand options available. You are welcome to browse our optical shop whether or not you are a patient of the clinic, and there is plenty of convenient parking. Mark graduated from Portland Community College in 1983 with an Associate of Applied Science degree in optical technology. He has been a Washington State Licensed Dispensing Optician since 1983. He has also held an American Board of Opticianry Certification since 1983. Although “opticianry” is no longer the term of choice, we proudly display his original certificate in our optical shop. Come check it out. 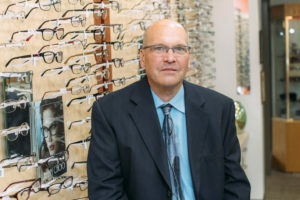 Mark has managed the optical shop at Walla Walla Eye Center for over a decade. If you need a new fit or just a re-fit of your contact lenses, he will work to get you something that is right for you. In addition, he does some of the diagnostic testing and fundus photography that is performed here. Mark is a master at adjusting frames, and you will be happy you took the time to seek his assistance. Mark is an interesting and friendly guy. He has an impressive recollection of Seinfeld and All in the Family trivia. He is also a bit of an outdoor sportsman. When not at work, he spends his time training Field Trial dogs for competition. He once caught a big fish, and you just might be able to get him to tell you about it if you ask. He will tell you about his dogs whether you ask or not. We believe we are very lucky to have Mark at Walla Walla Eye Center, and we think you will agree.